The week, much like most of the season so far, showed some very unstable weather patterns around Wabaskang Lake. No two days seem to be the same here and that certainly applies to last week too. Hot, then cool, sunny then rainy, stormy then clear- you know, as they say if you don’t like the weather wait 5 minutes and it will change. The shifting weather patterns seemed to have the walleye shifting too, as spots were hot then cold or good for a few fish then shut off etc. All in all, there were lot’s of fish caught during the week, but guests found they had to stay mobile to stay on top of them. While numbers were not as good overall for mid-June as we have seen, the number of quality fish was outstanding. We are seeing many 20-22″ walleyes this year, quite a few upper 20’s, and last week we had two more walleyes caught and released of 30″. Saturday this week started off very similar with Chris Szweda catching and releasing a monster 31″ walleye. Tony Riegel was here on his first trip to Canada, and after proclaiming that he “can’t even catch a bluegill back home in Illinois”, promptly went out and caught a 30″ walleye. The rest of the crew did great for first timers as they learned the lake and they are excited about coming back and putting that knowledge to work for them next year. Kyle Johnson (now in his early 30’s), hadn’t been to camp since he was a young boy, and Wabby welcomed him back with another 30″ walleye. 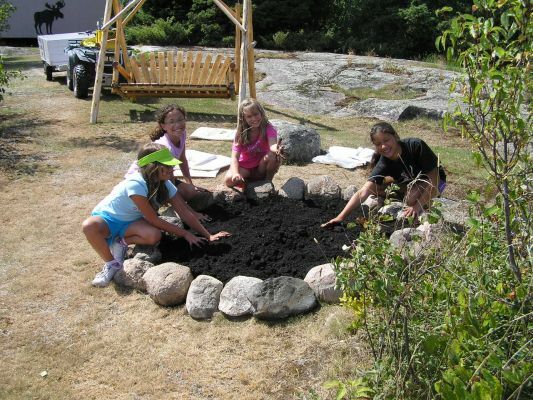 Other than the one new group it was all seasoned veterans in camp and they all did very well. 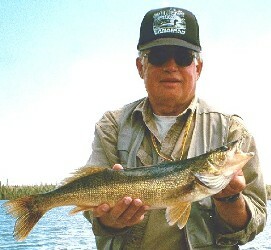 The walleye, although spread out some, were susceptible to jigs/minnows, jigs/crawlers, spinners and crawler harnesses for the most part. Emerging weed beds were holding fish although some guests reported catching walleyes in 20 feet of water also. The big pike were a little harder to find this week, but guests landed several in the low-mid 30’s. Smallmouth are just starting to show up on their beds and a few guests took advantage of some of those footballs cruising the shallows including Perry and his two sons who all caught and released 19″ smallmouth and many others. 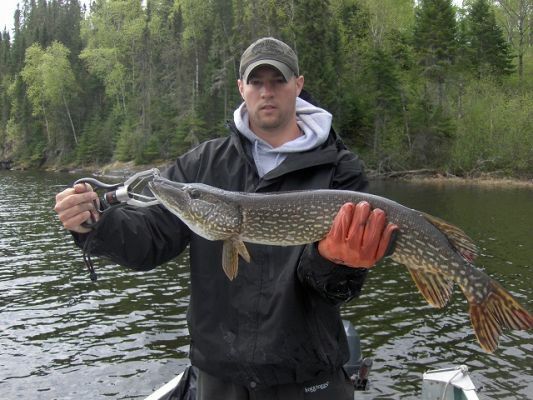 Some other highights: Gregg Tonn a 33″ pike, Aaron Tonn a 30″ pike, Bob Skalla a 31″ pike. Twelve year old Brady Beyer released two 21″ walleyes and grandpa Woody released 26, 23, 22 and 21″ walleyes. Jeff Hartwig released a 23″ eye, Marc Glime a 21″ eye, Rhalph Bansen a 22 and 19″ walleyes, Dylan Hann a 19″ walleye, Jacob Bansen a 22″ walleye, Jim Clime 21 1/2, 21, 18″ walleyes and cabin mate Ron Bergfeld turned back two 21 1/2″, two 21″ a 20″ and two 19″ walleye. Overall a very solid week of fishing. We had a mini-golf outing in camp during the week also to warm up for this week’s main event. Congrats to Alex Tonn who was closest to the “pin”! Week five is underway and you might say it started off with a bang. In addition to the 31″ walleye caught on Saturday, we had a couple of lines of thundershowers roll through late on Sunday bringing hail and high winds. The second round (about an hour after the first) brought heavy rain, hail and straight line winds that had to be 60 mph+. It was a scary situation with stuff flying all over camp and trees snapping around the camp. Fortunately all our guests were off the water when it hit and that we had no major damage in camp. Whew, trust me when I say that it could have been much worse as we have never experienced winds of that magnitude during our twelve years here.